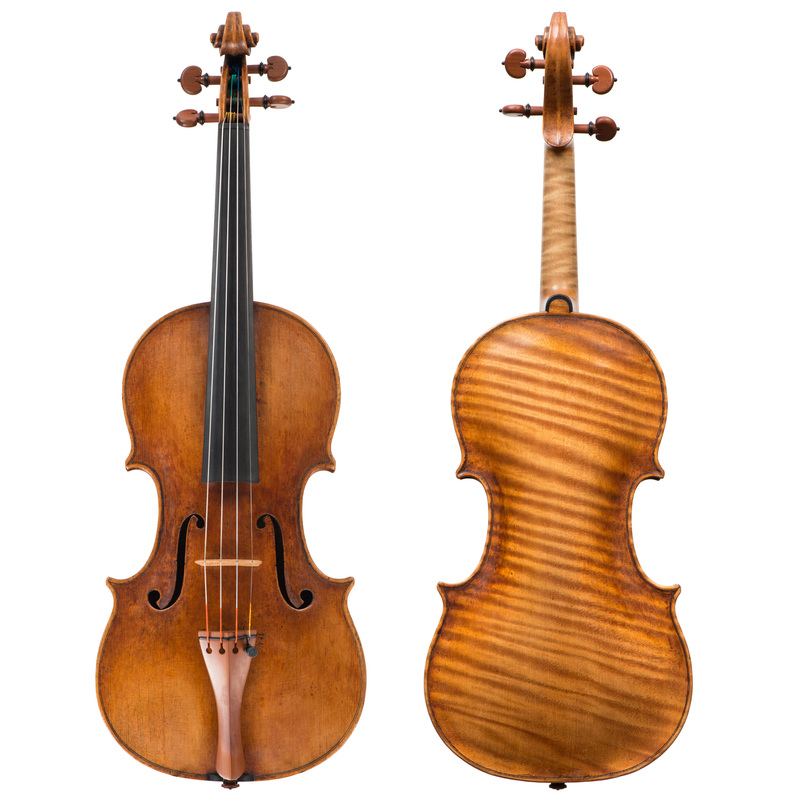 The departure from Cremona of Pietro Guarneri (1655 – 1720) ended any hope that his father, Andrea, may have had to create a family dynasty to match that of the Amatis. By 1683 Pietro had settled in Mantua where he held a position as violinist in the court orchestra of the Gonzaga family. Pietro’s playing commitments would account for the relatively small number of his instruments that exist. It’s fascinating to consider that the violins he made at this time would have been designed to satisfy the needs of his colleagues, the top players of the day. This example c1695 has a fuller arching than most people might think is “ideal” today. However, its power and projection has proved very successful as a solo instrument with full modern orchestras.